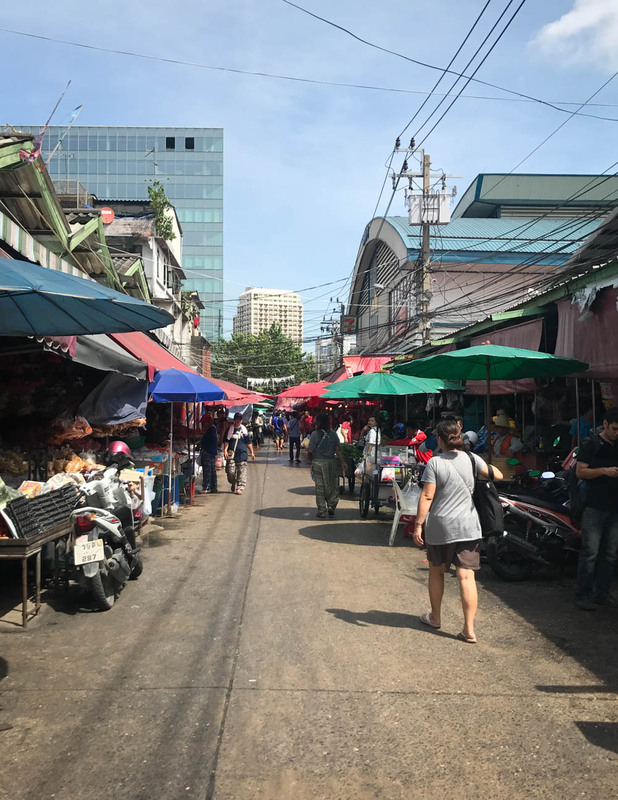 If you want to get a real impression of a buzzing Bangkok market – far off the tourist track – go to Khlong Toei. Open from early morning til 2am an night, this is the market that provides most Bangkok restaurants with their ingredients – from the humble streetfood stall up to the glitzy Michelin-starred restaurant. But be prepared: Khlong Toei is anything but a romantic market experience. It’s a loud, hectic and gritty place. Smells will hit you from each side, you’ll see lots of raw meat (and live animals), and last time I even accidentally kicked a massive rat with my sandals (the poor thing ended up flying across two market stalls – it would have made a footballer proud). 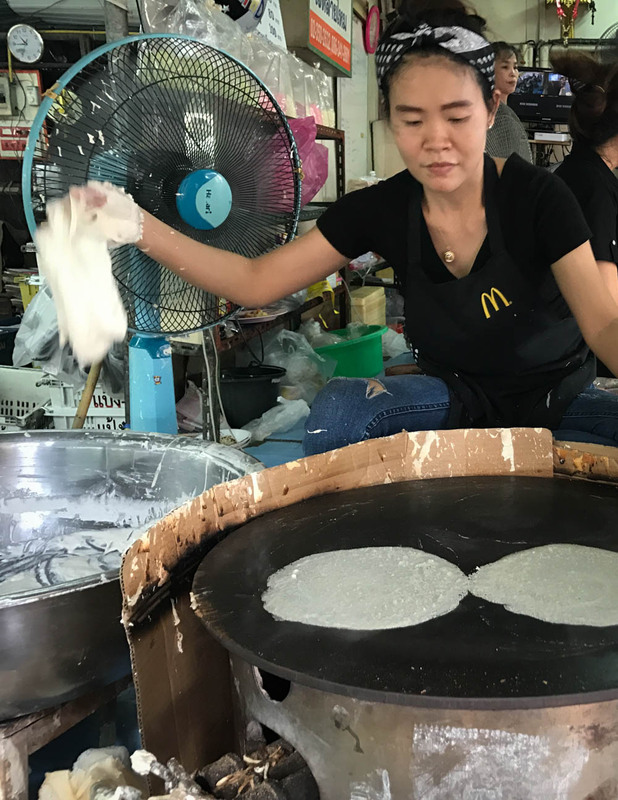 Still, there are also more accessible, pleasant experiences to be found: one of the highlights being the pancake ladies, sat at the front of the market, slapping blobs of pancake batter onto hot plates, then filling the thin pancakes with colourful candy floss. Completely random, yet super delicious! So, Khlong Toei is not for the fainthearted. For all others its a proper Bangkok experience, not to be missed! 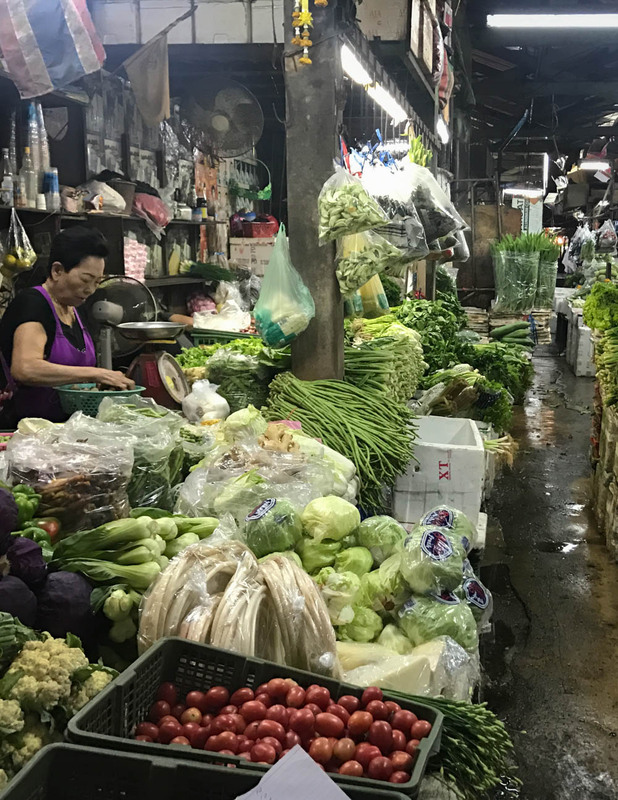 You can watch me explore Khlong Toei market in this episode of my ‘Anne’s Asian Adventures’ show.